Aerial view of part of the Newartk Air Museum site. View inside Hangar 1 at Newark Air Museum. View inside Hangar 2 at Newark Air Museum. Display of 76 aircraft & cockpit sections from across the history of aviation. 48+ aircraft displayed under cover. 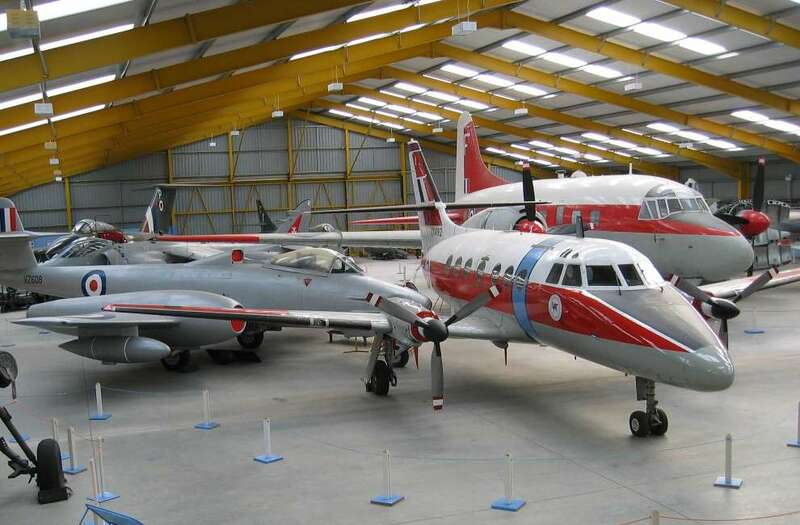 The museum is located on the former World War Two airfield of Winthorpe in eastern Nottinghamshire. The aircraft on display include 13 National Benchmark aircraft; 34 Significant aircraft and 21 Noteworthy aircraft as listed in the National Aviation Heritage Register. Extensive under cover displays including two aircraft display halls that house more than 48 aircraft and helicopters. In addition the aircraft the museum displays a diverse display of aviation artefacts and a collection of more than thirty aero engines.